The point of said document, co-authored with Hartley Booth – a former Tory minister swept from office in 1994 after a liaison with an aide – was to rebut other ministers’ suggestions on how to deal with the conditions that had led up to the riots. David Young, at that time employment secretary, had suggested funding black middle class entrepreneurs to stabilise poorer areas. Meanwhile environment secretary Kenneth Baker wanted to fix up the old council estates. “The root of social malaise is not poor housing, or youth ‘alienation’, or the lack of a middle class. Lower-class, unemployed white people lived for years in appalling slums without a breakdown of public order on anything like the present scale; in the midst of the depression, people in Brixton went out, leaving their grocery money in a bag at the front door, and expecting to see groceries there when they got back. Followers of politics will note that this plays on an old Left vs Right theme: the extent to which crime is blamed on personal responsibility or one’s environment. It appears to be this phrase about discos, as well as the remark about “bad moral attitudes”, that has led Fleet Street to conclude Letwin (and, by implication Booth) was a bit racist. But from reading the memo in full this is not the obvious inference. Indeed just a few paragraphs down the pair suggest that “sensible churchmen, businessmen and professionals (both black and white) should be encouraged to promote moral values, possible through the creation of a new ‘youth corps’”. This would imply conditions have already contributed to worse character and attitudes – hardly the views of a racist. It is even suggested that Young, Baker and Hurd’s measures may be used to “keep the peace” during the broader changes, and may “succeed in creating prosperity” once the Letwin/Booth groundwork has been laid. What is this groundwork? A mix of incentives to keep marriages together, ease creation of independent and religious schools, change the public image of the police, and “prune” penal establishments that “act as criminal-training schools”. They also warn against the use of government funds to support “destructive far left groups”, referencing the black activist Sampson Bond (misspelt as “Samson”), brought onto Liverpool’s race relations council to prop up the local Militant group. …after all, who needs a sensible discussion on crime prevention when there’s a good racist scandal to be had? PS: In an amusing addendum to all the above, it seems all of this was revealed by Charles Moore, biographer of Thatcher who had access to ample documents from her time in office when he was writing his second volume on the former prime minister. 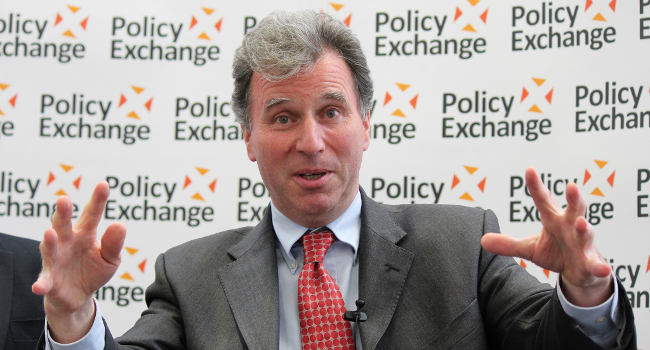 That said book was released back in October of this year suggests either that no political hack read the door-stopper or that none of them thought Letwin and Booth’s remarks memorable enough to warrant a byline. The full memo can be found at this page of the National Archives’ website, beginning on page 68 of the second attachment. It is titled “Meeting on Inner Cities” and dated 12 November 1985.